Steve Krafft of KSAZ-TV Fox 10 News. 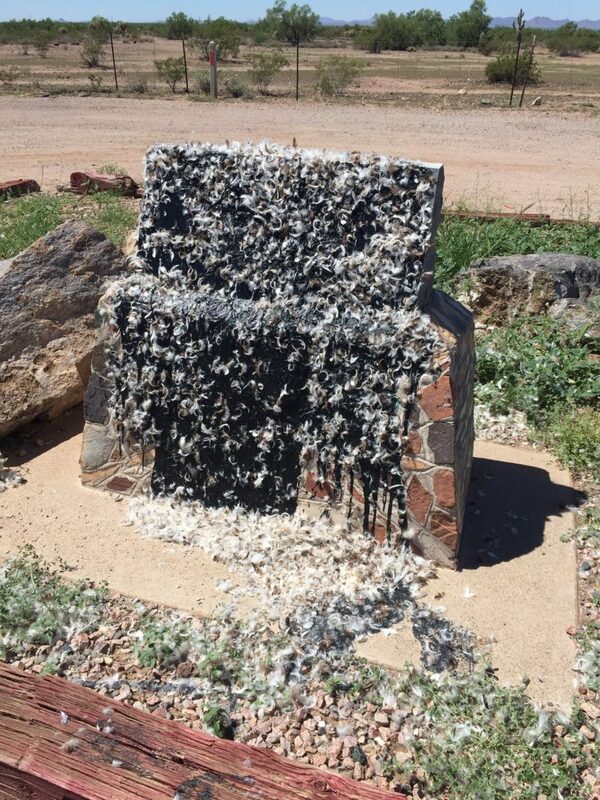 A monument commemorating the only president of the Confederacy was vandalized with tar and feathers this week, a local Gold Canyon, Arizona TV station reported Thursday. The Jefferson Davis Memorial Highway monument sits along U.S. 60 and local authorities are investigating the incident, KSAZ reported. This is the second time a Confederate monument in Arizona was defaced this week and the most recent in a string of vandalism of Confederate memorials across the country. The violence that broke out at a white supremacist rally in Charlottesville, Virginia, when white nationalists gathered to protest the removal of a Robert E. Lee statue, has spurred on the debate over what to do with Confederate monuments. His comments Thursday contrast what he said during the campaign when asked about what should be done with Confederate flags hanging at the South Carolina Capitol. “I think they should put it in the museum and let it go,” he said in 2015.